How We Help Market Your Business. The Energise team has a wide range of marketing expertise and real-world experience under its belt. First and foremost we take the time to “understand your pain” – What has lead you to seek help? What do you want to achieve as an end result? After establishing this, we partner with you to develop strategies, create ideas and design plans that drive action and get results. We take time to research and understand your market, your business, your competitors and your customers. Then we analyse these insights to identify strengths, weaknesses and opportunities for growth. 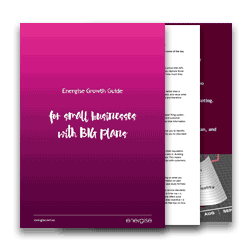 Using this knowledge we partner with your team to develop a strategy that leads to an effective, targeted and measurable marketing and sales plan which allows you to grow, compete and achieve. We then offer the flexibility to action your plan yourself, or to utilise our in-house marketing resource to activate everything from websites, branded collateral, radio ads, magazine ads, billboards, brochures, trade shows etc. 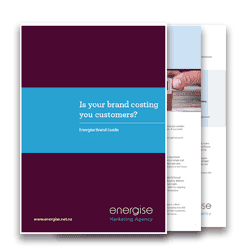 Whether you are launching a new brand, or just refreshing an existing one, Energise can partner with you to determine your brand strategy in terms of your Visual Identity, Tone of Voice, Staff Engagement, Customer Stimulation and Brand Managemeny. Our team of experts conduct a digital health audit across your business, and then work with you to develop an actionable digital plan that addresses areas of weakness and drives online awareness. Our experienced online specialists offer the full package of website essentials including: website strategy and scoping, website design, high end e-commerce design, website building and launch, as well as content management systems (CMS). Our team works to ensure your business website is ranked highly by search engines, in order for your customers to find you easily. We achieve this using a range of strategies, including: Search Engine Optimisation tools, Adwords, re-marketing and paid online adverts. Having a well functioning marketing team is crucial to a company’s success. Marketing consultant and coach Rosina Webb has extensive experience working with individuals, teams and their managers and team leaders to diagnose problems and deliver practical solutions, which improve the effectiveness and performance of your marketing team.